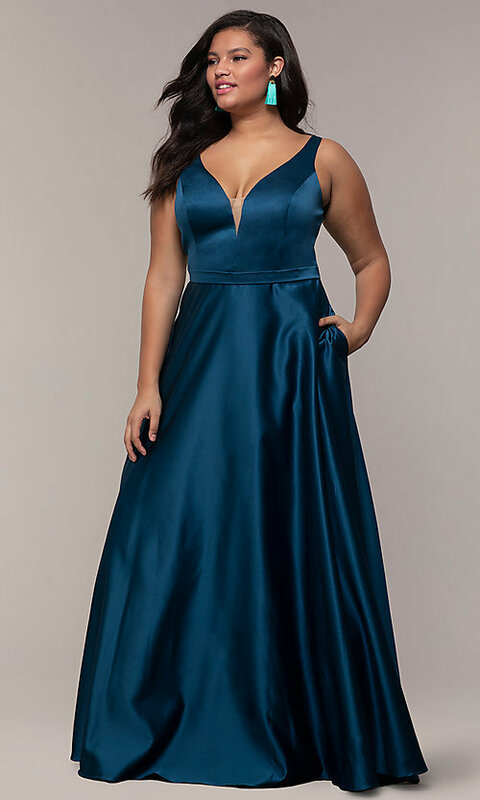 Slip into this flattering a-line plus-size formal dress for your next formal event. The princess-cut bodice on the long evening dress features a v-neckline, accentuated by an illusion inset. The thick straps stretch over the shoulders and connect to the v-back. A band cinches the natural waist, while the a-line skirt flows gracefully to the floor. 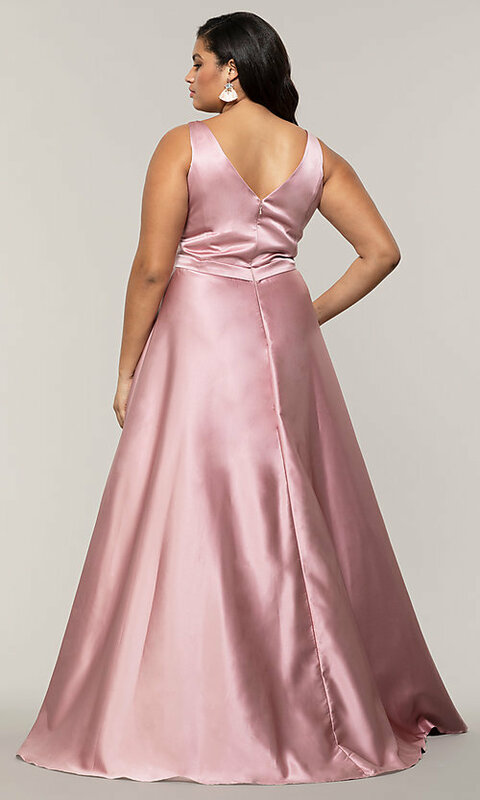 Pockets add convenience and style to this plus-sized evening dress. 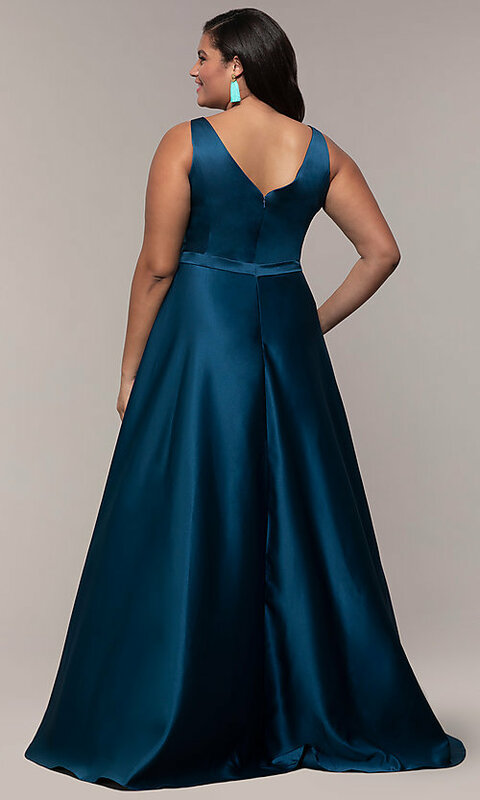 Made from luxe satin, the floor-length formal dress has a subtle sheen under the light. Flatter your figure in this beautiful a-line plus-size long formal evening dress.